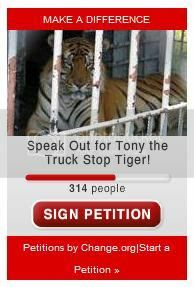 CAGED CAT: A Bengal Tiger gazes through the bars of its cage at Gross Tete's Tiger Truck Stop. 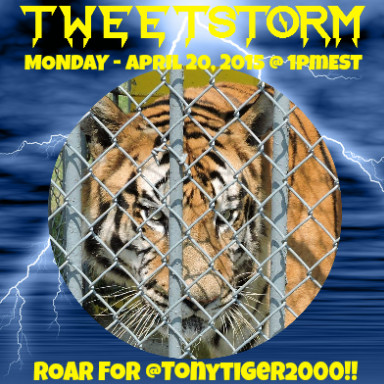 Three tigers at the truck stop are being relocated to more humane conditions. Three tigers living at a local truck stop were relocated to a new home, with the help of two University alumnae. 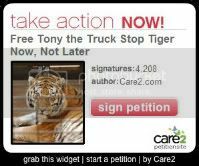 Cynthia Cash, a former professor and Coalition of Louisiana Animal Advocates volunteer, and Holly Reynolds, COLAA founder, were contacted by various animal rights advocates about a local truck stop where tigers were being mistreated. The two got in touch with U.S. Department of Agriculture officials to investigate the issue. Tiger Truck Stop in Grosse Tete displays Bengal tigers in small, concrete cells with minimal care. But the care still complies with USDA regulations, Cash said. Cash said tigers need a pool of water, but the tigers at the truck stop were given only a small drinking bowl. Michael Sandlin, Tiger Truck Stop president, was unavailable for comment, but Michael Moses, a mechanic for the truck stop, said the tigers get as many as 100 visitors a day. Documents from an Aug. 19 USDA inspection by Lynn Bourgeois, USDA veterinary medical officer, cited several violations, including a rusted and rotting door and metal cage bars, unsanitary feeding procedures and insufficient maintenance of the animals. The inspection also revealed unsanitary feeding procedures, violating the rule that food shall be wholesome, palatable and free from contamination. Pressure from USDA officials and animal rights advocates prompted Sandlin to give three of the four tigers away, leaving only 3-year-old Tony. Moses said he knows Sandlin plans on buying three more tigers to replace 18-year-old tigers Rainbow and Toby, and 8-year-old Khan. He did not know when or from where the tigers would be purchased. Cash said this would be breaking an agreement made between Tiger Truck Stop and USDA lawyers because the agreement allows Sandlin a maximum of two tigers at one time. Annette Richards, a keeper at Tiger Haven, said the newcomers made the trip well and are in quarantine for three or four weeks before they can enter their permanent enclosures. She said the 60-acre sanctuary now houses 167 tigers, and the new tigers will have to accept other tigers in the sanctuary before they interact. “We’re going to watch them for a few weeks and then move them to a bigger space where they’ll be able to run and go swimming,” she said. 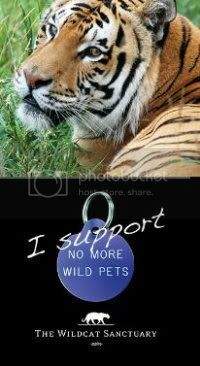 Richards said Tiger Haven does not breed, sell, trade or lend tigers, and once a cat enters the gates they have a home for life. WE need to help all animals from abuse and neglect.